Online Slacktivism: Is there a Trade-off between Virality and Sustainability? 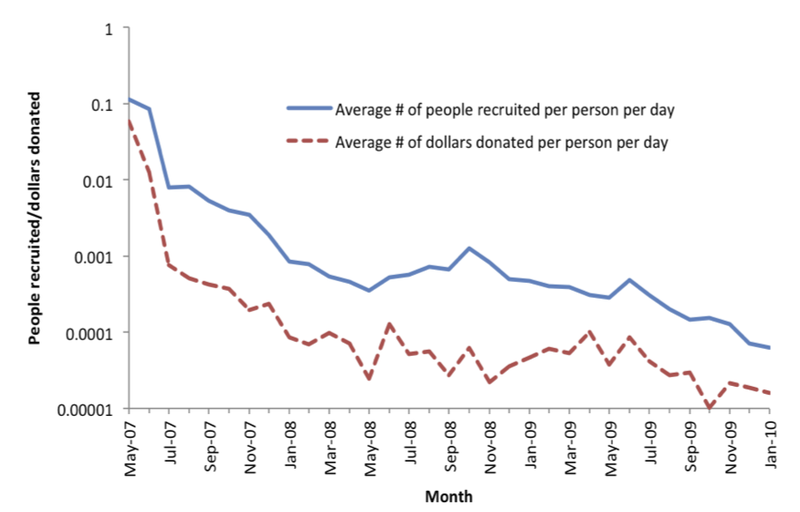 Furthermore, activism levels decreased quickly over time (see Figure 1). We define slacktivism as a willingness to perform a relatively costless, token display of support for a social cause, with an accompanying lack of willingness to devote significant effort to enact meaningful change. 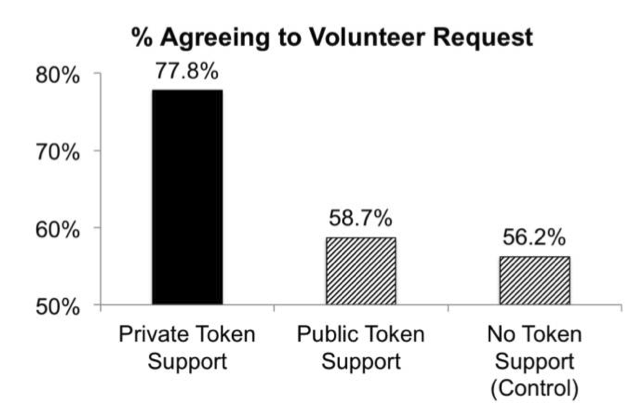 The core hypothesis of the paper is that publicly engaging in activism on Facebook and elsewhere also satisfies impression-management motives, leading to a lower likelihood of engaging in subsequent support than when the initial token support is private. In other words, since the supporting ‘click’ is public, the goal of appearing socially engaged is immediately reached, no further effort is necessary. Contrary to such a logic is one where engagement is driven by activism that is consistent with pre-existing values. To test their hypothesis, the authors conducted a series of field and lab experiments and showed that people who are assigned to publicly show their activism are less likely to engage for the cause subsequently (stuffing envelopes) than are people who are assigned to first show private support. In one of their experiments, the key variation is in the privacy settings of a Facebook group. Across all (online and offline) experiments publicly displayed activism seemed to satisfy individuals’ need for impression management and reduced likelihood of further engagement (see Figure 2). In the Facebook version of the experiment, the authors managed to compensate for this effect by reminding participants of their own previously stated values (something they call “value alignment”). Taken together, the two studies demonstrate at least two things. First, decreasing communication costs and new networking tools need not automatically lead to more engagement. Quite to the contrary, more digital visibility of one’s support, which is often seen as a pre-condition for viral effects, can reduce the probability of further, more sustainable activism. Second, the negative effect of public visibility is not deterministic but can be compensated for; of course, this compensation requires additional and specific efforts. Furthermore, there are also non-public ways of activism online that are championed by online activism platforms such as moveon.org, which still mostly rely on simple e-mail communication. From a theoretical perspective, the potential trade-off between virality and sustainability of activism adds another layer to Rao’s distinction between “hot cause” and “cool mobilization”. In his book “Market Rebels“, Rao (2008) argues that successful social movements require a combination of a “hot cause” that evokes emotional responses with the “cool mobilization” for maintaining commitment and involvement of the movement’s members. In this regard, the papers on online activism discussed above give another explanation why a hot cause with a lot of publicly displayed support is rarely enough for lasting mobilization success.